The interview with Jeffrey for the Tarzan documentary. 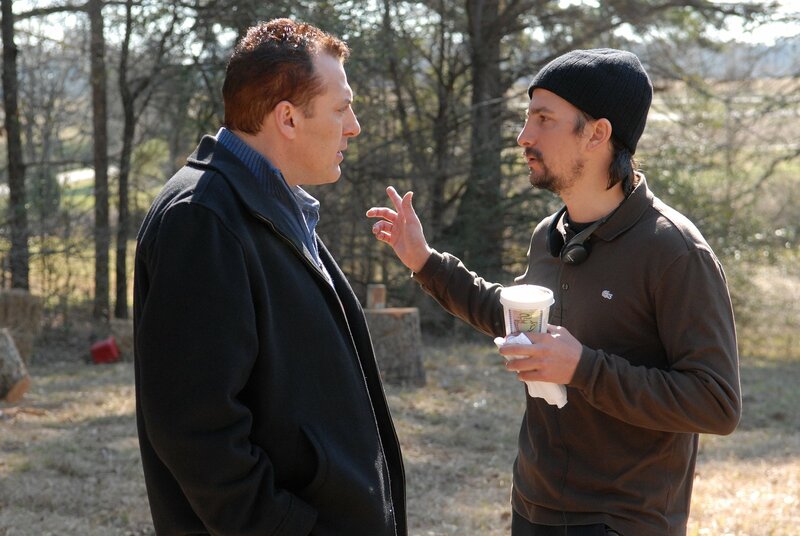 Jeffrey Goodman is the director of the new feature-length film, The Last Lullaby starring Tom Sizemore. Jeffrey is a very gentle person who loves filmmaking. I asked Jeffrey to give us an interview because he shot "Lullaby" in the state of Louisiana some ninety plus years after Tarzan of the Apes was filmed in Morgan City, Louisiana. This interview was scheduled back in the summer before my daughter Allison and I went to the Dum-Dum in Dayton. Jeffrey had to cancel because he needed to be with his film as it opened in another city. Just as Louisiana had been the place for the first Tarzan film, it was also the state for Jeffrey’s first feature length film. My history with his family started over eleven years ago when I first went to work as Art Director of Sci-Port: Louisiana’s Science Center. His mother Sylvia was extremely instrumental in making the science museum a reality. Sylvia and several others worked tirelessly to will it into existence and raised the $20+million to have it built. Six months before the Center was opened, I came on board and was able to help in designing the interior of the building and give it a "look." I also worked on all the signage for all the exhibits and the print materials such as, newsletters, brochures, fliers and postcards. Sylvia and I had a good relationship during this process and I have tremendous respect and appreciation for her work. In about 2005, Jeffrey returned to Louisiana after working in the film industry in Los Angeles, CA. for a number of years. He was attracted because the state is his home and because the state adopted aggressive tax incentives for the making of movies here. The program has been very successful with well over a hundred films and television series being made here. Jeffrey is very well-versed in his knowledge of filmmaking but he is also a student of film history. He gave us insight into the difference between films being made in 1917 and today. Being from Louisiana, he was well aware of the heat and humidity factor, especially in the jungle/swamp areas of the state. This is why he filmed "The Last Lullaby" in January and February. With the exception of 2010, Louisiana winters are very mild. We generally have really cold weather on January 27th. Other than that our winters are cold in the morning and warm in the afternoon. Bill took his best shot at making it all happen. 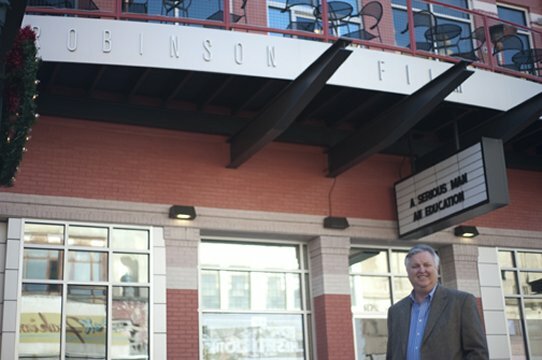 We met Jeffrey for his interview at the Robinson Film Center in downtown Shreveport on the Saturday morning following Thanksgiving. It is a new "art house" theater with a restaurant and a film education component. Chris Jay is Robinson's marketing director. He and his wife Sarah are close friends of our family. Incidentally, Jeffrey’s mother Sylvia was very, very instrumental in bringing the Robinson into being a reality. She truly is an amazing person. As we wrapped up the shoot, Allison commented that she knew I would like interviewing Jeffrey because he used his hands when he talked. That is true. Plus, my hat is off to anyone who not only talks about making a movie but actually does it. I recommend that you check out the film. You can order it at www.thelastlullaby.com. Jeffrey directing a scene from "The Last Lullaby."